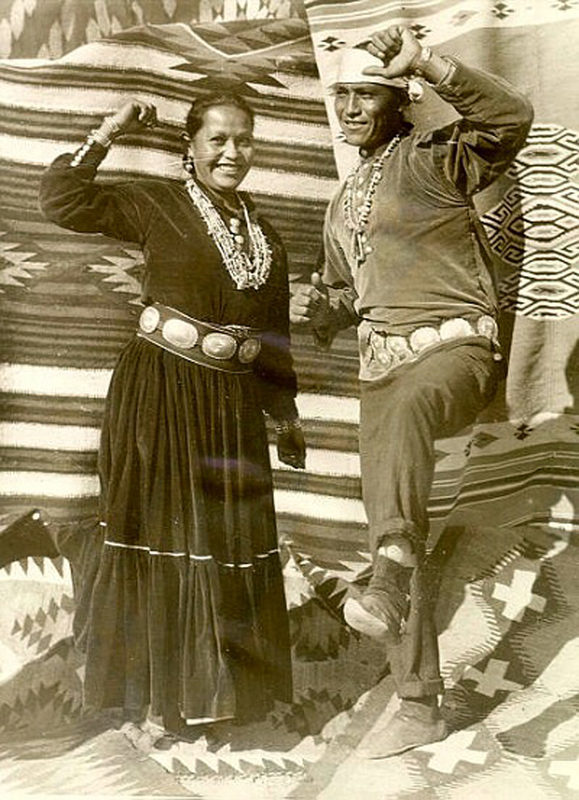 Chief Yellowhorse and his wife Oggie, champion Charleston dancers, at the Harry Carey Ranch Store Trading Post in the 1920s. Actor Harry Carey operated a trading post that doubled as a movie set at the southern end of San Francisquito Canyon in the 1920s. Live performances were also staged there. The Carey Ranch was wiped out in the St. Francis Dam Disaster of March 12, 1928. The Carey ranch house was later rebuilt, but the trading post was not. Charleston Supplants War Dance. Oggie (left) and Chief Yellowhorse, live at Harry Carry’s trading post, Saugus, Ca., claim the championship among Red Skins for Charleston dancing. They have entered the Cinderella Roof Charleston contest Friday night.